Cuba’s former leader Fidel Castro has been awarded the Confucius Peace Prize, China’s alternative to the Nobel. Castro was praised for “important contributions on eliminating nuclear war after his retirement,” and will get US$15,000. The 88-year-old icon was selected from 14 individuals, including UN Secretary-General Ban Ki-moon, and two organizations, to win China’s peace prize, state newspaper the Global Times reported on Thursday. "While in office, Castro didn't resort to violence or force to settle disputes in international relations, especially with the United States," the report said. "After his retirement, he has been actively meeting with leaders and groups from all over the world and has made important contributions to emphasizing the need to eliminate nuclear war." 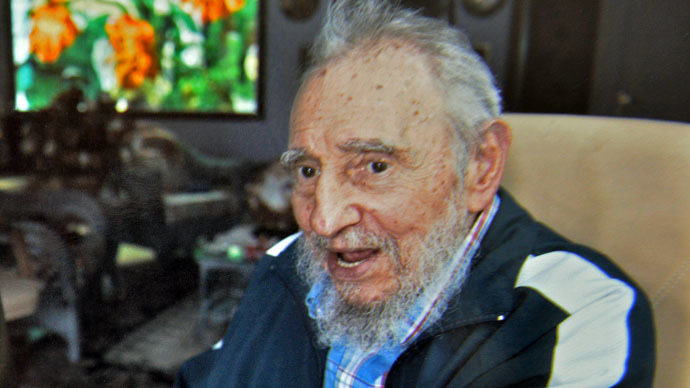 Castro stepped down due to health concerns in 2008 after 49 years in power, and did not travel to Beijing to receive the prize. The award in the form of a gold statuette and $15,000 was received by a Cuban student who will pass it on to Castro. The Cuban leader follows in the steps of prior recipients such as former UN Secretary-General Kofi Annan and then Russian Prime Minister Vladimir Putin which also failed to attend the Chinese ceremonies. The Confucius prize was proposed by businessman Lui Zhiqin and was first awarded in 2010 as an eastern alternative to the Nobel Peace Prize. In was created following the Norwegian Nobel committee’s decision to honor imprisoned Chinese dissident Liu Xiaobo. On Wednesday, the Norwegian committee awarded 17-year-old Malala Yousafzai the Nobel Peace Prize at a ceremony in Oslo. The Pakistani girl, who survived a shot in the head by a Taliban gunman for speaking up in favor of women’s education, is the youngest laureate. She shared the award with Kailash Satyarthi, Indian children's rights advocate and an activist against child labor.